↑ 1,0 1,1 1,2 1,3 1,4 1,5 1,6 1,7 German National Library, Berlin State Library, Bavarian State Library et al. Record #11860564X // Gemeinsame Normdatei — 2012—2016. ↑ Bloom, Harold, ed. 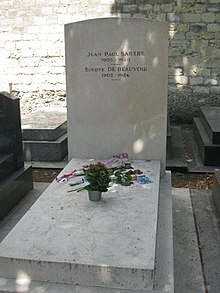 Jean-Paul Sartre. Infobase Publishing, 2009.